I received a few Simple Girl products to review and I have been going through both bottles like crazy! 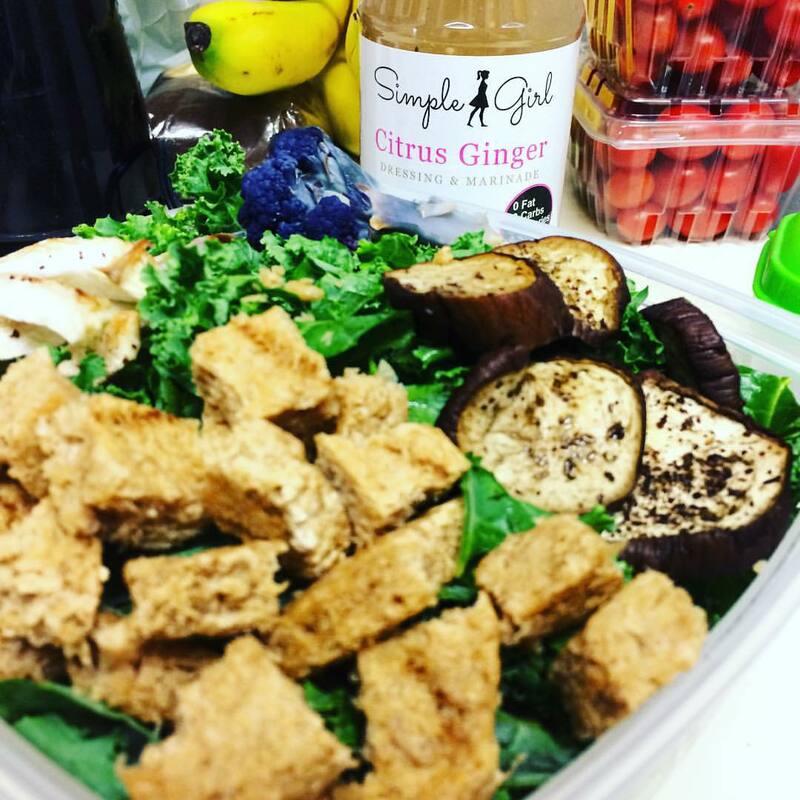 This brand uses stevia instead of artificial sweeteners and donates to charitable organizations; how much more amazing can they get? As a small business, they really cater to the customer and my package came specially wrapped. They make dressings, sauce, and seasonings. 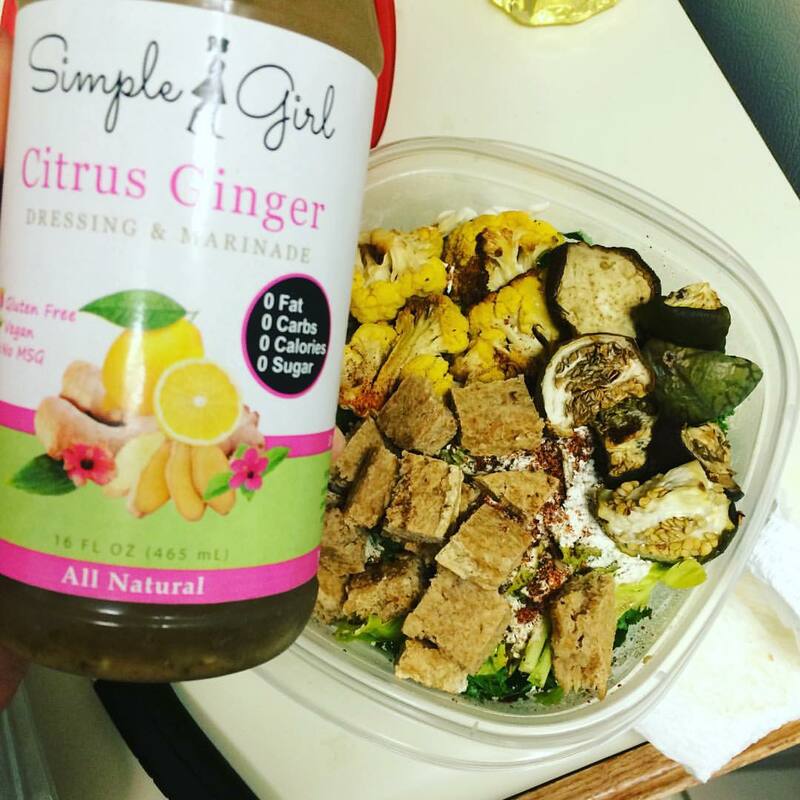 I love the citrus ginger dressing on salads–it tastes fresh and has the perfect hint of lemon-y sweetness. BBQ sauce is literally going on everything. Roasted cabbage wedge all dolled up with some sauce! 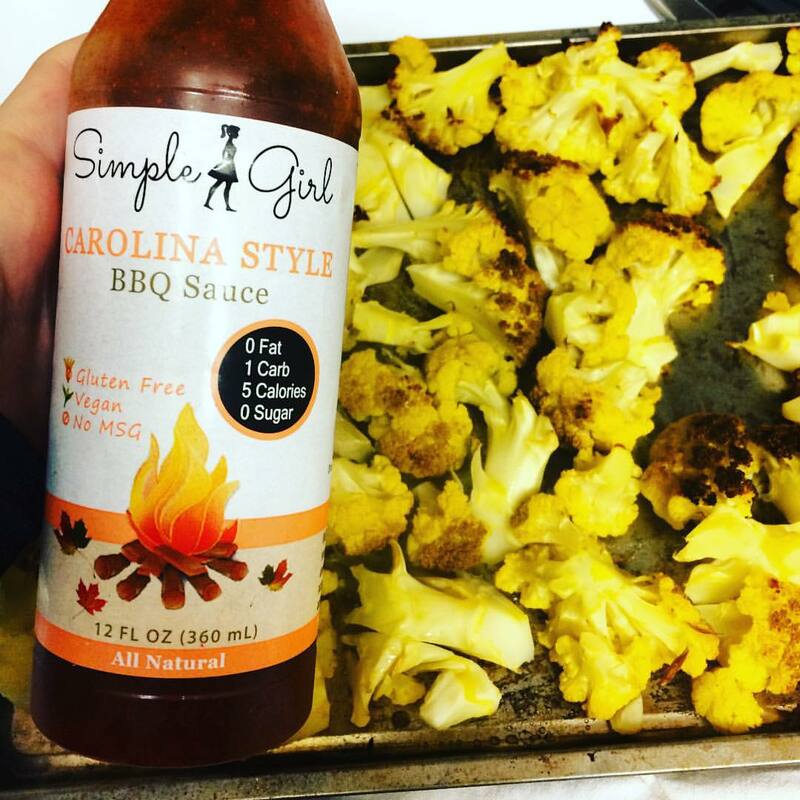 Without further ado, here is the recipe for BBQ Cauliflower!